In 1939*, Dr. Ochsner and Dr. Debakey proposed smoking was a “responsible factor” in the development of cancer. Over the next 2 decades, research and evidence began to mount about the ill effects of cigarettes. People were dying. And Big Tobacco responded. They passionately questioned every piece of medical literature, claiming the science wasn’t clear. They formed their own “research” groups. They spent more money in Washington. When the evidence about the effects of second hand smoke came out, they touted smokers’ rights, claimed the research was false, and yes, spend more money in Washington. Despite all these efforts, we are now a country with only 15% of adults as smokers. Smoking is banned on all flights. Not only can you not smoke inside most buildings now, many places regulate where you can smoke outside of buildings. Physicians and researchers studied the effect of nicotine and cigarettes until the answer became so clear, Big Tobacco lost all credibility with their cries of “fake science”. No amount of lobbying, no amount of money, could hide the truth. And armed with this truth, Congress took action. In 1965, Congress required warning labels on all packages of cigarettes. In 1987, Congress led to the smoking ban on airlines. Yes, people still smoke. But we, and Congress, have made it hard for them to do so. As physicians, we talk to our patients about what smoking does to their health. We create programs to help people stop smoking. We inform, educate, and treat our patients with nicotine addiction. As a government, we have increased taxes on cigarettes, forced smokers to sit outside, and imposed fines on violators of smoking bans. And these efforts have worked. There has been a significant reduction in the use of cigarettes in this country, and we are a healthier nation for that. Research, medical evidence, and science led to legislation which collectively led to an improvement in this country’s health… despite an incredibly powerful lobbyist. We have done it before, and need to do it again… with gun violence. But as physicians and researchers, our hands are tied. Gun violence and sepsis kill approximately the same number of people in this country every year, but gun violence has 0.7% of the amount of funding sepsis has. Gun violence is the least researched cause of death in this country, and not just by a small amount. Gunshot wounds are a medical diagnosis, same as diabetes. And think about how the health of this country would be affected if the Sugar industry, through legislation, prevented us from studying diabetes? The Dickey Amendment, which led to a 96% drop in funding for CDC firearm injury prevention has to be repealed. Research into prevention of gun violence not only needs to be allowed, it needs to be encouraged and funded. It took almost 30 years for Congress to place warning labels on packs of cigarettes after Dr. Ochsner and Dr. Debakey first proposed the link between cigarettes and lung cancer. In that time, millions of people died while being lied to by tobacco lobbyists. How many more children have to die before Congress takes action to let us study how and why a child leaves for school in the morning and doesn’t come home? What ended the debate about the world being flat vs round? Science. What ended the debate about whether or not smoking was bad for you? Science. What can end the debate about how best to reduce and end gun violence in this country? Science. The time for firearm injury prevention is now. The time to study the risk factors for gun violence and develop effective prevention strategies is now. The time for science is now. 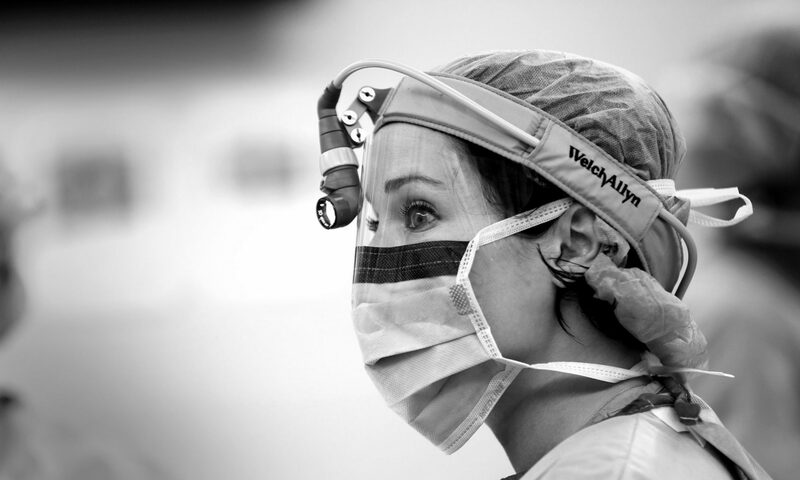 Jamie J. Coleman, MD, FACS… a trauma surgeon, a researcher, and a mother. Thanks for this post, Jamie. Agree 100%. Onward. True, science took on big tobacco, time to take on the NRA!